I had a hop in my step on Sunday. 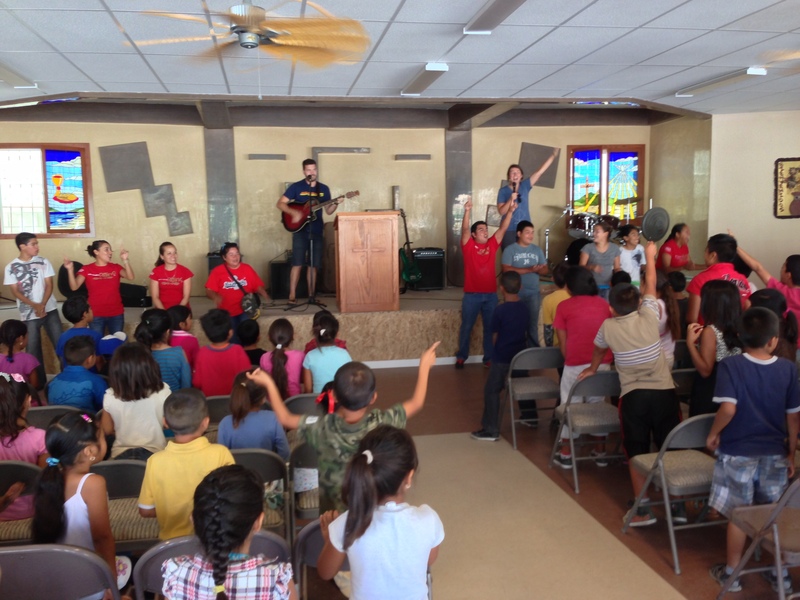 I was feeling the joy of the Lord after the wonderful outreach in Tijuana on Saturday! It gave me reason to rejoice! Redeemer (formerly Harbor North County) brought a group from their church to work alongside the Lo Mejor del Trigo church (LMT) in Rojo Gomez. Over 100 children came to the special event. Smiles all around as the children enjoyed all the activities: face painting, coloring, gospel bracelets, bubbles, balloon figures. Then we fed the children sandwiches and ended the day with a piñata. The Rojo Gomez church is surrounded by a number of families that struggle to survive, so this was a way to bless them. It’s also an encouragement to the church as they seek to make a difference in the community. Our good friends, Abraham and Martha Velazquez lead the Lo Mejor del Trigo church in Rojo Gomez. They are a gift from God to us and they are a blessing to their church. Dawn and I were also encouraged to see the way those from Redeemer jumped in and got involved. They all put their heart and soul into the effort. It was fun to work with them, and see them minister to all the children. God is so good to give us such wonderful people to serve him with. The church in Rojo Gomez is making a huge difference. They are located in a poor neighborhood, so they offer breakfast to the children before school. 100 children take advantage of the breakfast. The church charges less than 2 cents for the breakfast. They used to give the breakfast and didn’t charge, and they had 300 children coming. When all the children left and we had finally cleaned we closed our day with a time of prayer for the Abraham and Martha and the church. The physical and spiritual needs of the children and their families in the community. Join us in prayer for these wonderful people. I join in prayer for this family. What joy to read these updates – God is moving through His people. Blessings! Thanks for the prayer. The Lord is using this church to be a light shining on a hill in the community of Rojo Gomez. It’s exciting for us to be able to work with them. During a time stateside when the news paints horrible pictures of Mexicans, it is always encouraging to read your reports of thriving Christian churches and ministries South of the Border. I pray for you and the ministries there often, Dave and Dawn. Keep going, and keep encouraging those National pastors in the work they are doing. Serving the breakfast–I like that. If only churches in the States would do that, we could take that expense off the school lunch programs. Thanks for your encouragement to keep going. We love the Mexican pastors that the Lord has connected us with, so it’s easy to keep going with them!